Suction nuts/elbows sit externally and hold the wall fitting to the inside of the bath. The joing pipe work then fits to the nut or elbow allowing the pump to draw water. The saftey relief port provides an extra level of safety, allowing a vacuum break if suction is obstructed. 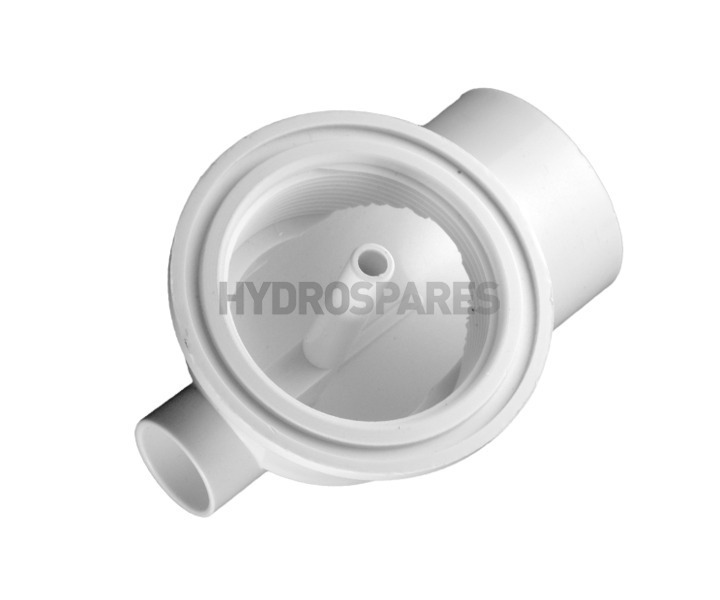 To operate correctly the Balboa Suction Safety Relief Adaptor must be installed with consecutive pipeing. Designed to be used with the Balboa Slimline Flush suction system.